With the support of foundations, Web Wise Kids is able to keep reaching out to children through unique and interactive games that provide them with the necessary tools on Internet and cell phone safety. Every child that gains this safety knowledge begins to develop their opportunity to achieve their future goals. 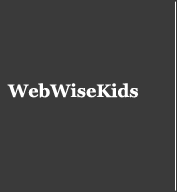 If you would like to learn more about how your foundation can start big change and support the growth of Web Wise Kids, please contact [email protected].